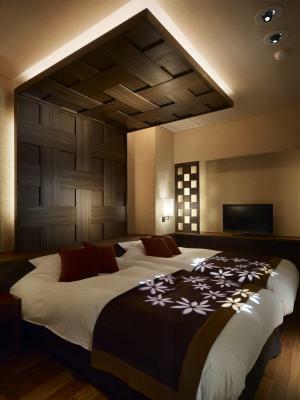 Lock in a great price for Tokachigawa Onsen Daiichi Hotel – rated 8.7 by recent guests! 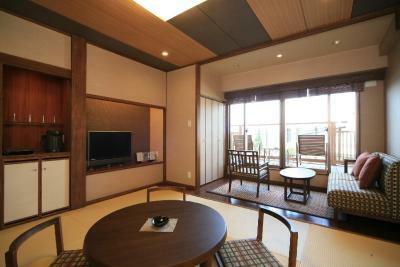 The in room onsen was fantastic. Staff are helpful and speaks English. The staff were very friendly (although didn’t speak much English apart from one lovely lady called Gan Ting who was fluent!) 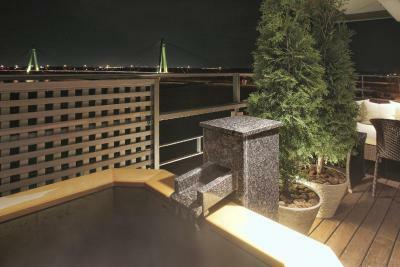 The room view was nice of the bridge and I had booked to have our own hot tub on balcony which was good. 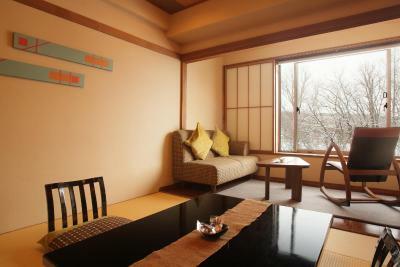 Quite an authentic place to stay for onsen experience. The breakfast was good! 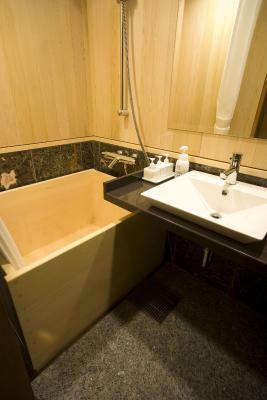 we booked the room with private hot spring bath. This is the second time we stayed in this hotel. Nice bridge view. 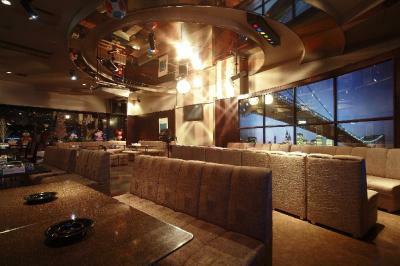 The staffs are kindness and nice. 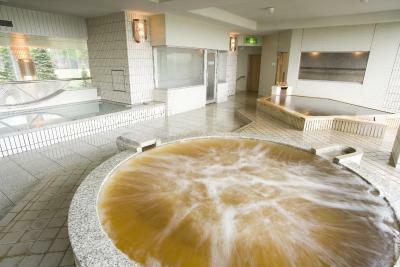 The facility of hot spring bath is quite good. Dinner and breakfast are buffet. The food choice of dinner is rich enough, but breakfast is not. 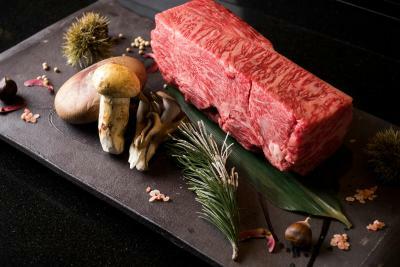 The quality of food is good and delicious. The view of our room is quite nice. 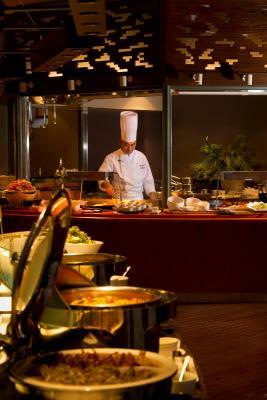 Good buffet food at breakfast and dinner. Outdoor onsen was nice. 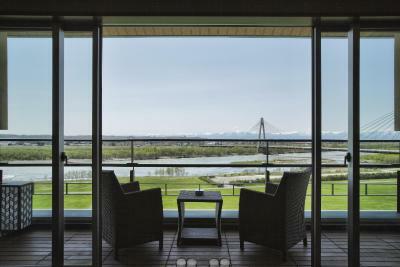 Loved the view from the room, the lovely private bath and the meals in the hotel were reasonable. We enjoyed the variety. There was a field telescope set up to look at some cranes that were nearby - that was a real bonus!! 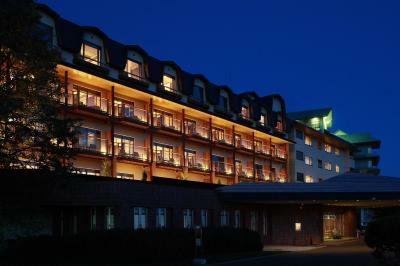 Very good hot spring hotel! 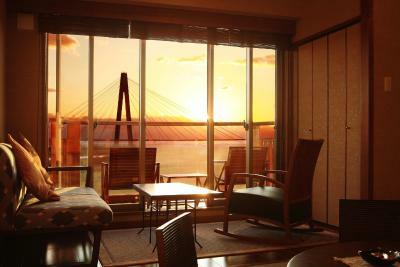 Nice room with riverview. Warm welcoming and services. 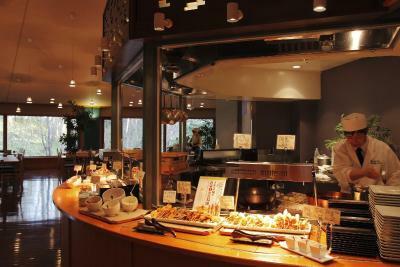 Dinner buffet and the hot spring is good! 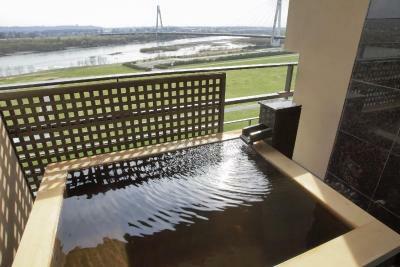 The hotel onsen was magnificent with breadth-taking views, especially the outdoor baths. The dinner and breakfast were superb! The potato soup and pumpkin soup was very good. The tempura was well done. The Hokkaido "chopped" ice cream with almond and pumpkin nuts was fantastic. 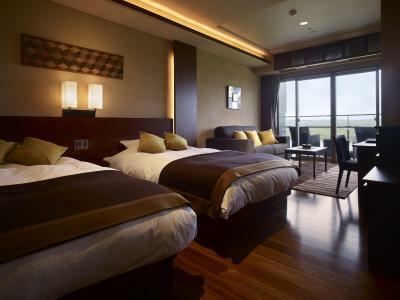 Tokachigawa Onsen Daiichi Hotel This rating is a reflection of how the property compares to the industry standard when it comes to price, facilities and services available. It's based on a self-evaluation by the property. Use this rating to help choose your stay! One of our best sellers in Otofuke! 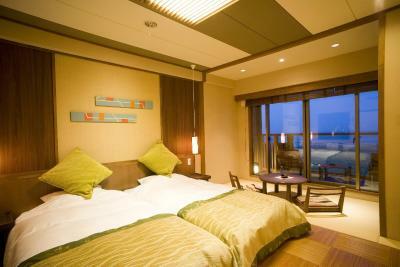 Tokachigawa Onsen Daiichi Hotel offers hot spring baths and Free WiFi is available throughout the property. 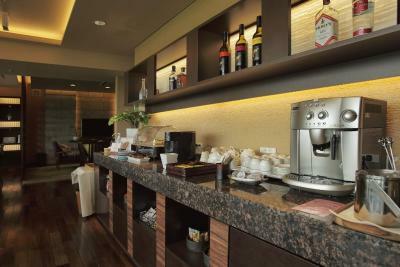 Air conditioned rooms feature an private bathroom, a seating area and a flat screen TV. Each comes with a refrigerator, an electric kettle and a telephone. A safety deposit box and free toiletries can also be found. 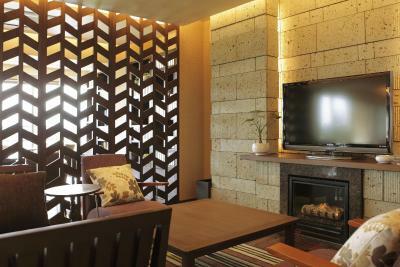 At Daiichi Hotel Tokachigawa Onsen, guests can relax in the indoor/outdoor hot spring baths, grab a drink at the bar or get a massage at a surcharge. 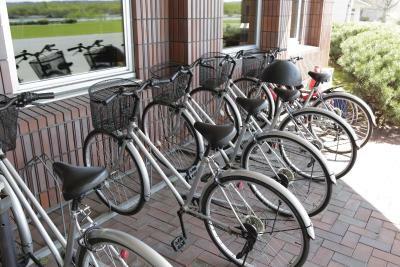 Bicycle rental service and room service are also available. 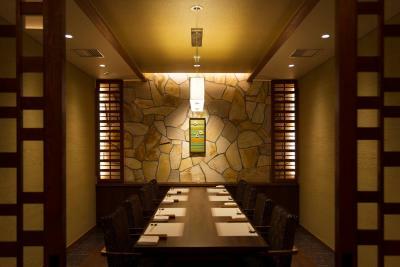 At Restaurant Komorebi a buffet featuring Tokachi’s delicacies are served, while at Restaurant Tokachi guests can enjoy a fusion of Japanese and Western dishes in private rooms. 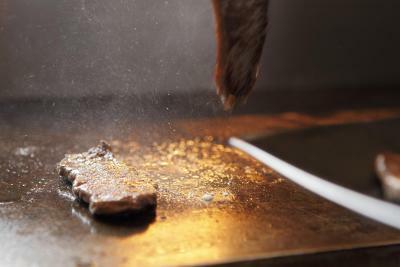 Restaurant Juhyo serves Teppanyaki dishes featuring local produces. A breakfast buffet is available in the mornings. 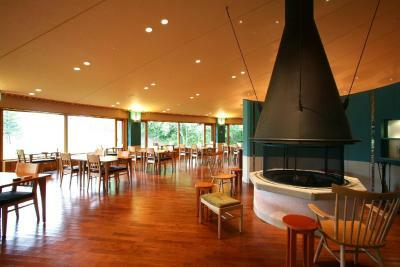 Tokachi Ecology Park is located within a 5-minute drive, while Obihiro Zoo is a 35-minute drive from the property. 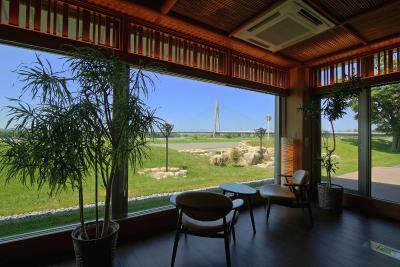 Obihiro Airport is located a 40-minute taxi ride away. 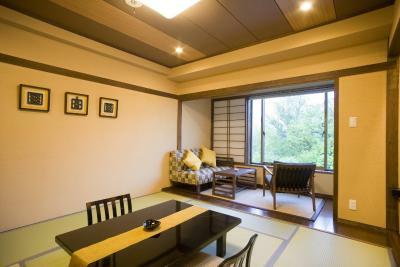 This property also has one of the top-rated locations in Otofuke! Guests are happier about it compared to other properties in the area. This property is also rated for the best value in Otofuke! Guests are getting more for their money when compared to other properties in this city. 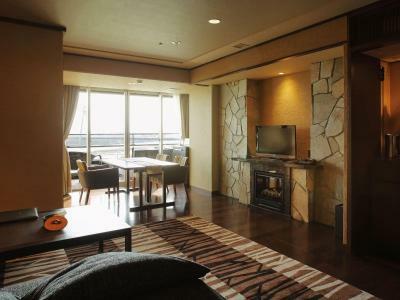 When would you like to stay at Tokachigawa Onsen Daiichi Hotel? 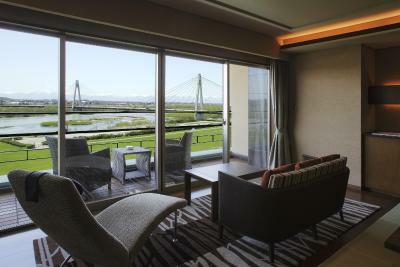 Spacious air conditioned rooms feature an open-air bath and river views. There are a seating area, fridge, electric kettle and flat-screen TV. A safety deposit box and free toiletries can also be found. 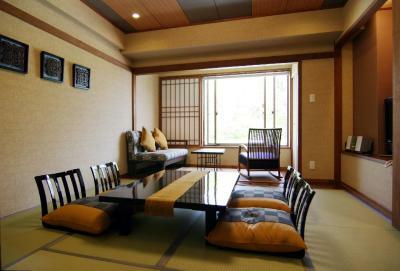 The rate includes Japanese set breakfast and Japanese course dinner. The rate includes breakfast and dinner for 3 guests. 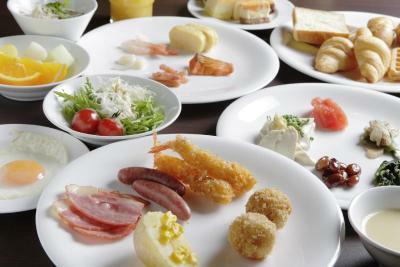 Breakfast will be either Japanese set breakfast or buffet breakfast. 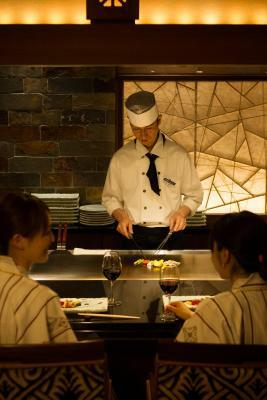 Dinner will be served as buffet or Kaiseki Japanese course dinner. Meals are subject to availability. 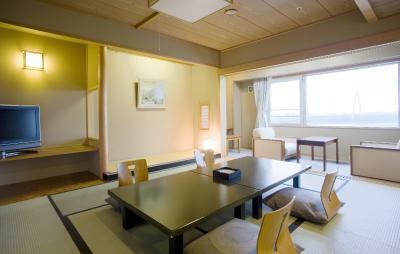 Air conditioned rooms feature an private bathroom, tatami (woven-straw) flooring and a flat screen TV. Each comes with a refrigerator, an electric kettle and a telephone. A safety deposit box and free toiletries can also be found. 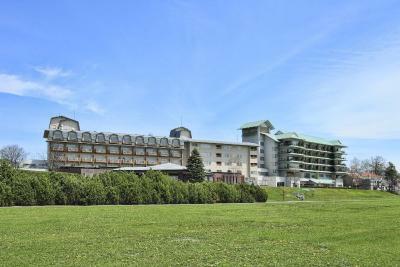 The rate includes buffet breakfast and buffet dinner. 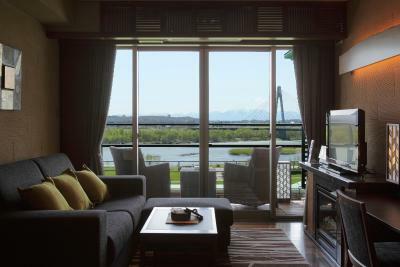 Spacious air conditioned suites feature an open-air bath and river views. There are a seating area, fridge, electric kettle and flat-screen TV. A safety deposit box and free toiletries can also be found. This quadruple room features a seating area, satellite TV and electric kettle. This quadruple room features a seating area, air conditioning and CD player. 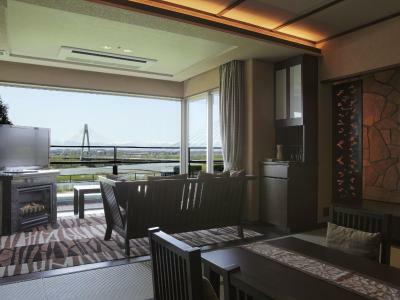 This twin room has a balcony, flat-screen TV and air conditioning. 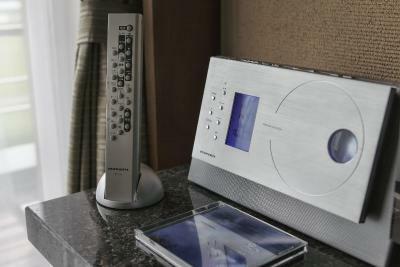 This quadruple room features a electric kettle, view and CD player. This quadruple room has air conditioning, CD player and bathrobe. 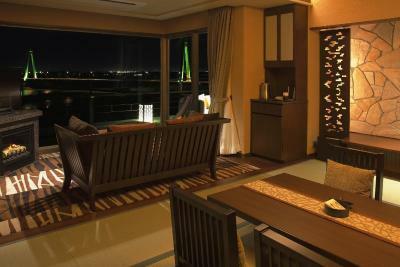 This triple room features a balcony, seating area and bathrobe. This quadruple room has a balcony, fireplace and seating area. 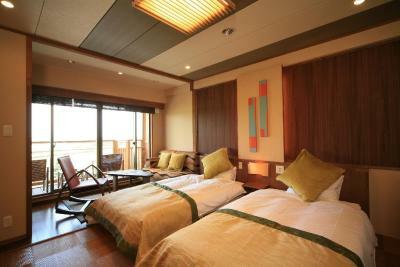 This twin room has a balcony, electric kettle and seating area. 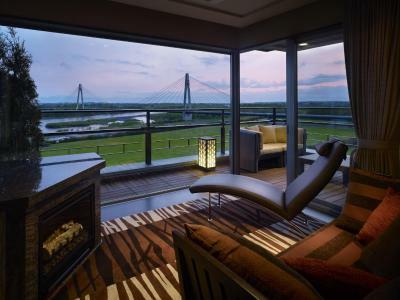 This quadruple room has a balcony, sofa and mini-bar. 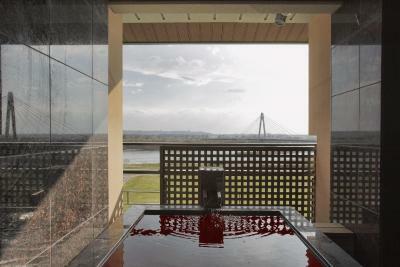 This quadruple room features a balcony, fireplace and air conditioning. This suite has a balcony, tile/marble floor and toaster. 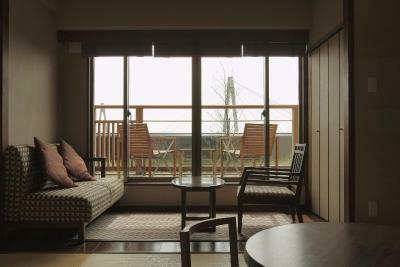 This twin room features a balcony, bathrobe and seating area. 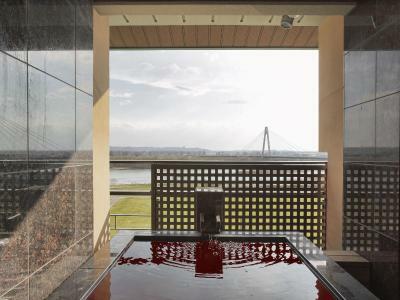 This quadruple room has a balcony, fireplace and bathrobe. 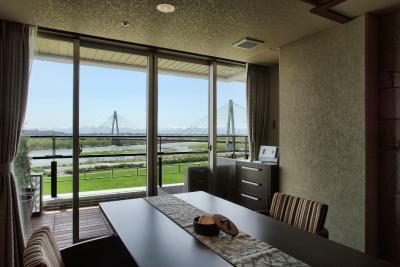 This suite features a balcony, fireplace and flat-screen TV. This quadruple room features a seating area, electric kettle and CD player. 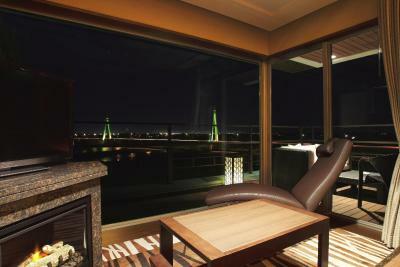 This twin room has a balcony, seating area and sofa. 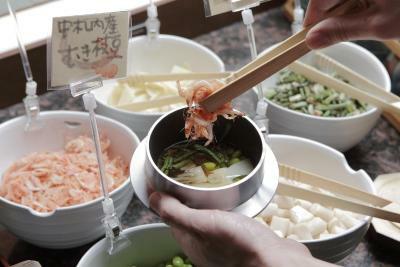 House Rules Tokachigawa Onsen Daiichi Hotel takes special requests – add in the next step! Tokachigawa Onsen Daiichi Hotel accepts these cards and reserves the right to temporarily hold an amount prior to arrival.